A stash of money in the bottom of a cookie jar probably isn't going to destroy your marriage. But realizing that your spouse cheats on you financially could be the beginning of the end of your marriage. In an already troubled marriage, financial infidelity could be what makes you decide to call it quits. One of the common warning signs or red flags in a marriage is lying about money. Even though one in three Americans admits to lying about money to their spouse, the issue is too important to avoid. Small lies about finances can lead to even more damaging behaviors in your marriage. According to a survey described a 2011 article, Is Your Partner Cheating on You Financially? 31% Admit Money Deception by Jenna Goudreauin (Forbes.com)... "Over half of all financial cheaters admitted hiding cash (58%) or minor purchases (54%). Of the offenders, 30% have hidden a bill, 16% have hidden a major purchase, 15% had a secret bank account, 11% lied about their debts and another 11% lied about the amount of money they earned." "Boston-based family therapist Carleton Kendrick has been counseling couples for over 30 years and says money deception has become a huge issue in the last decade. Kendrick says the chief reasons people lie about money to their partners are pragmatism, control, guilt, and fear. The pragmatic lie may result from planning an eventual split and not wanting the other to know how much money is available. Financial infidelity for control may include revenge spending, as one partner overspends to prove their independence or to get back at the other for something lacking in the relationship. Knowingly irresponsible behavior may cause guilt and embarrassment, so the person attempts to cover it up. Deceit may also occur because they fear their partner’s reaction to the truth." Your spouse lies to other people about expenditures or income. 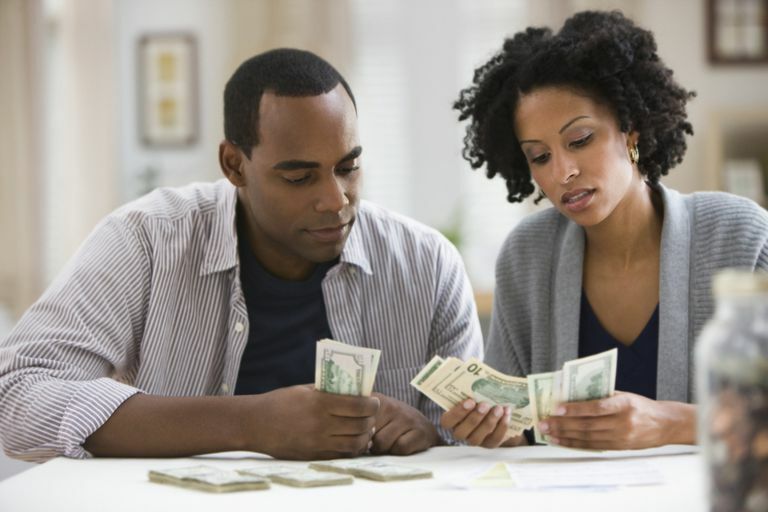 When you want to talk with your spouse about money, he or she becomes defensive or refuses to discuss finances. Your spouse handles all the responsibility of paying bills and doesn't want you to know anything about the family finances. You realize that your spouse is spending more than the two of you can afford. The two of you argue about money more often. You discover secret bank accounts or secret debts. Your spouse's spending habits change suddenly. One or both of you begin revenge spending. Your spouse has lied to you before about money. You just have a gut feeling that your spouse is hiding something from you concerning your finances. You don't trust your spouse. Don't bury your head in the sand. It's time to have the difficult and serious talk about your finances with your spouse. Tell your spouse about any feelings you have about lying or being lied to about your finances. Your concerns, guilt, anger, panic, sense of being betrayed, embarrassment, helplessness, etc. You need to be heard by your spouse. If you are the cheater, admit you made a mistake, stop lying about your finances. Make a decision to be honest, open, and to keep your promises. Accept your responsibility for bringing financial infidelity into your marriage. And sincerely apologize. Be realistic about what can and can't be done to salvage your financial situation. Set up separate checking accounts along with a joint account. Decide together how much you can each deposit in the personal accounts and a joint account. It is important that you both agree that those funds are yours individually to do with what you want. Have a weekly discussion about the state of your finances. It doesn't have to be long, but make time to check on your accounts together and talk about upcoming bills, issues, goals, hopes, etc. If these suggestions don't help, seek financial and/or marriage counseling. Lying, hiding or being secretive about money is a big marriage "no-no." If there is a problem in regards to this, it is time to fix it with respect and integrity.